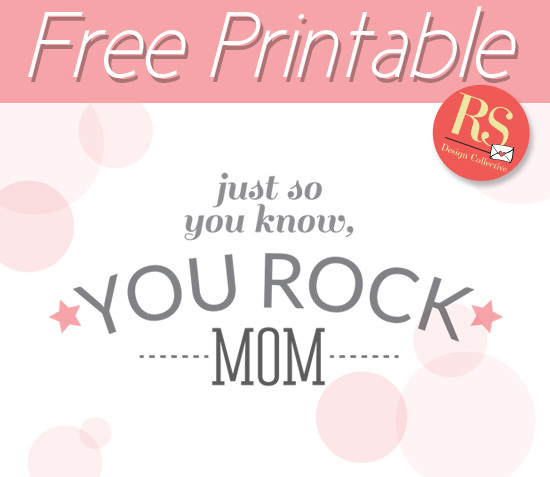 Mother's Day is around the corner and we've crafted up a special free printable for all our Rubies! If you're into DIY and giving you Mom gifts from the heart, then this printable is for you. Simply download the card here and get folding and sticking away. If DIY ain't your kinda thing, don't stress, making up this card is super simple, and in these economic conditions nowadays, the fact that's it FREE is a huge plus! We've used a fun, quirky approach this year, but if you prefer something a bit more cute and feminine, then check out last year's card too. Do you have any special plans for Mother's Day this weekend? Drop us a comment below, or on our Facebook page, we love knowing what you are all up to! Printable is for private use only and is copyrighted to Ruby and the Swallow. Not to replicated for commercial gain.